Some time ago I stumbled on a super original origami box. The folding, seemed not even particularly difficult, and so I have tried it myself. The box has, and I think that’s really the outstanding, a handle on the left and right side. 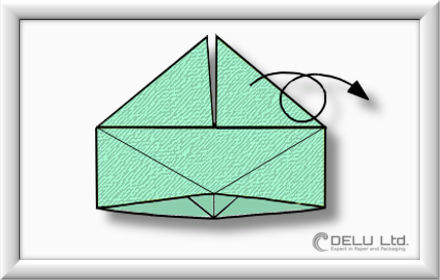 Since I was so enthusiastic about this origami box, I decided to publish an how to make a origami box on our DELU blog also. 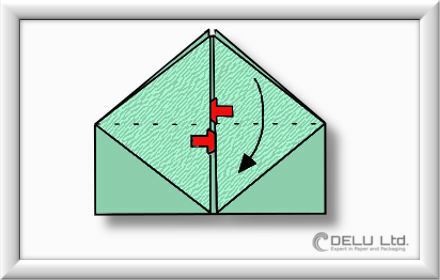 In the following I will describe step by step how this nice origami box to be folded. Incidentally I would settle the difficulty on a scale of 1 to 10, with 5 in the midfield. 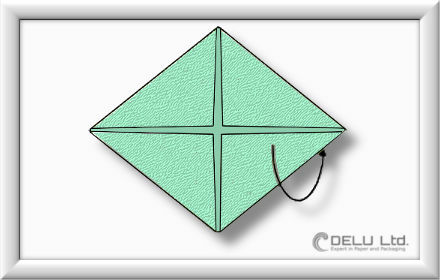 The folding is thus also very well suited for older children. By the way Origami is a great hobby for distraction, it helps myself to forget my from stress and provides a great relaxation. 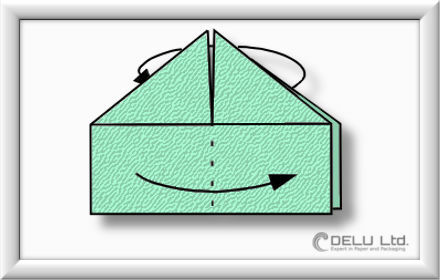 Let’s go with the folding instructions for our origami box with handles! Just a simple sheet of paper in letter size works great ! 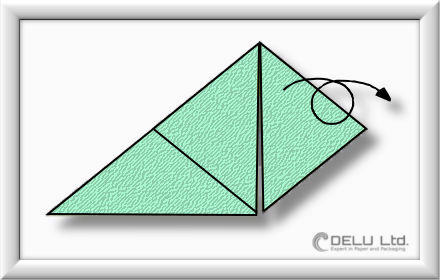 First of all, we fold the paper sheet on the dotted lines each once horizontally and vertically. Afterwards please unfold, because we need for the time being only the folding lines. 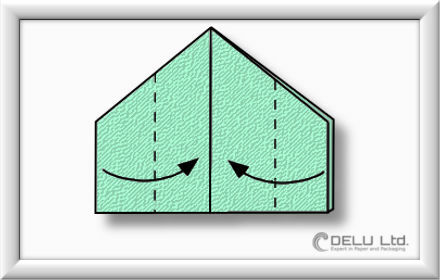 In this step, we simply fold the bottom part backwards and thus halve the folding. 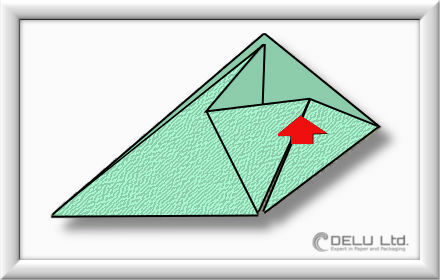 Now we open a bag at the position marked with the red arrow by folding it to the left side. 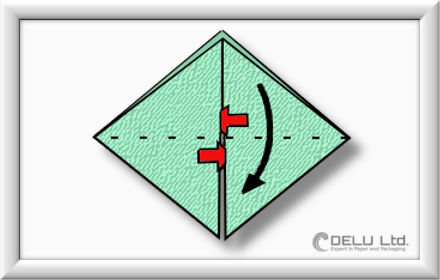 Here we simply press the pocket at the red arrow by flatten the folding. Please turn the folding around. Just repeat the steps 4 and 5 on this side. Simply open the pockets which are marked with the Red arrows. 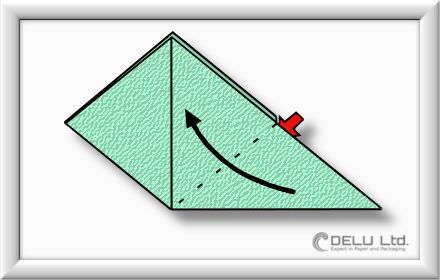 Please turn the Origami folding around. Repeat step 6 on this side. 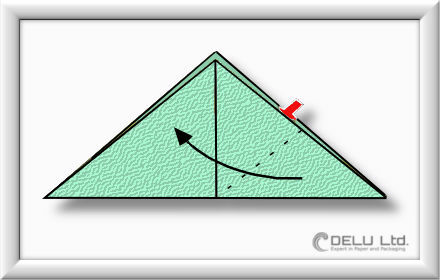 Fold forward on the dotted line. 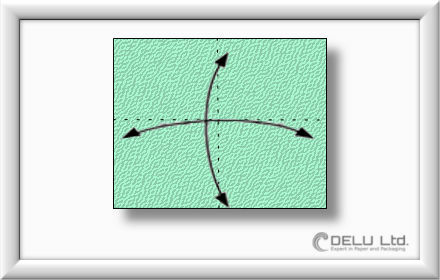 Again, just fold inwards at the dotted line. 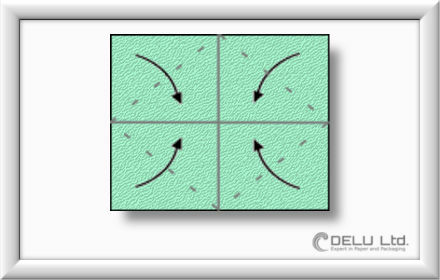 In this step we fold both sides at the dotted line to the front. Now we just need carefully pull both handles to the outside and our origami box should unfold. …..our Origami box is actually finished ! The finished origami box is incidentally also great to store to it E.g. paper clips. 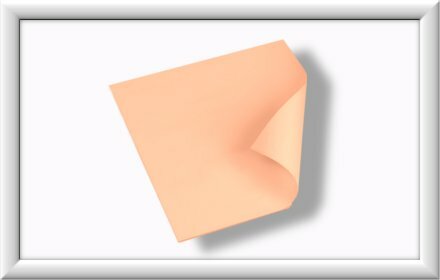 Sure, the folds to our origami box need some practice. However, once you have the hang of it, it goes almost as saying ! Please always ensure to fold and crease precise and exact. 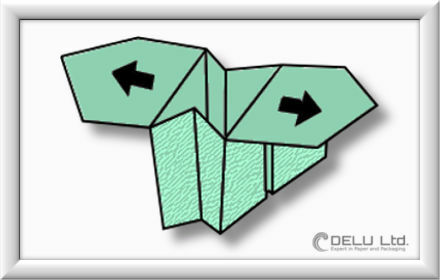 Especially the folding lines for this origami box should be folded carefully. 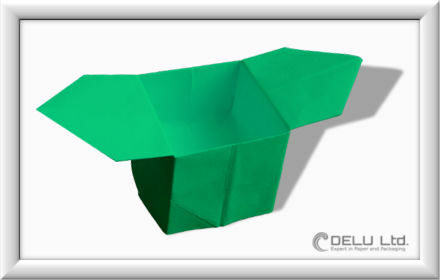 Just use colored paper, then the origami box looks even better and becomes a really nice eye catcher on your desk. 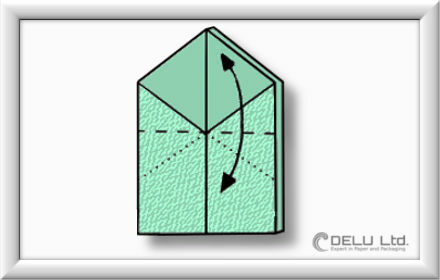 Check out our post were we describe “how to make a Origami box step by step”.